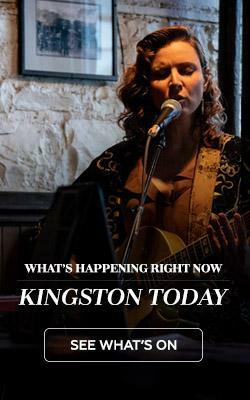 Kingston, on any given weekend, will see student bands crammed into the campus pubs and house parties around Queen’s University, playing to packed rooms for exposure and a chance to share a stage with the city’s more established acts. And it works: as students, The Tragically Hip played their first shows in campus pub Clark Hall, telling their campus paper the city needed more “high energy dance music.” A few years later, Sarah Harmer and Bedouin Soundclash followed, leaving their mark on a city filled with music history. 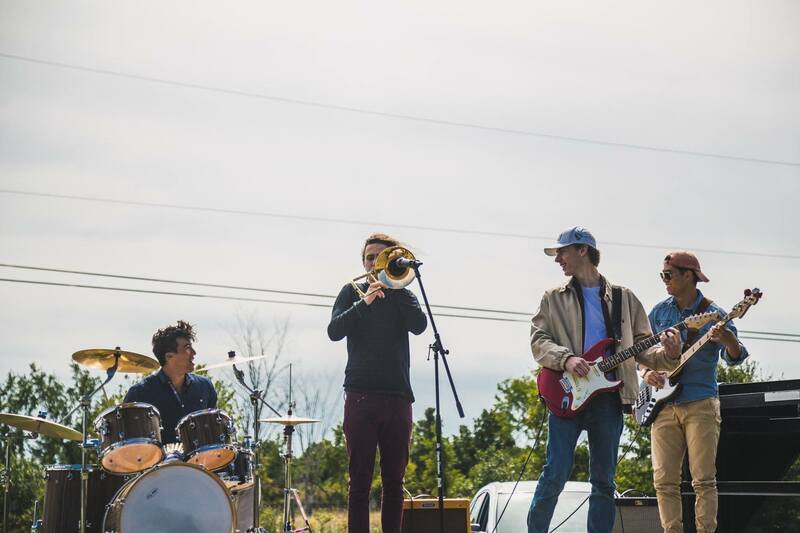 For student bands, the goal is often the steady, stepwise progression from campus act and pub fixture to touring band breaking out of their surroundings. For Blue Junction, a campus rock act with funk inflections, it happened sooner than they expected. After a low-key debut on campus last year, the band’s second show was at a Queen’s first-year welcoming concert. They opened for Marianas Trench, playing in front of a festival-sized crowd with only a single show’s worth of experience. After a spirited performance and a generous helping of bass solos, they never had to hunt for a booking again. Breaking out of the campus bubble, they’ve grown as an opening act. Part of that is honing their live show and a unique stage presence. For example, bass player Andrew Burney switches to the trombone when audience energy dips. Quirks aside, the city accepts risks from younger musicians. Student acts can develop without fear of armchair music critics hanging around the venues in larger cities. Instead, when Kingston recognizes care and work ethic in a young band, it returns the favour. It’s simple: there’s less room for negativity in a smaller city. That attitude, however, never sacrifices quality. When Kiss the Fish—another up-and-coming student act—started their career, they noticed Kingston expects commitment from its musicians. It’s inevitable in a town steeped in Canadian music history. An irreverent rock act drenched in virtuoso blues solos, Kiss the Fish’s creativity earned them a spot at the table, according to singer Sam Skolrood. “It takes a second for them to respect student bands. You almost have to prove you’re trying to be more than a couple guys playing covers,” Skolrood said. 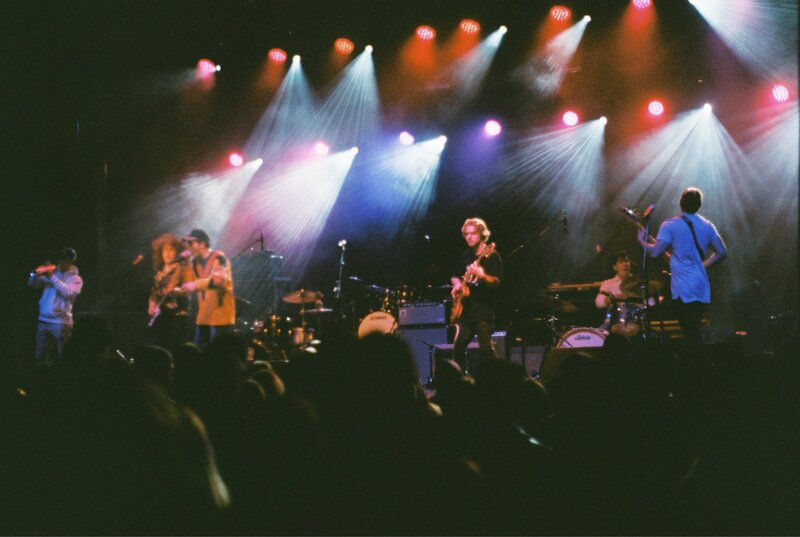 Once the connection is made, the music scene fosters local talent, inviting newcomers as openers and building a network of supporters. That trust originates in the relationship between audience and performers. Kiss the Fish takes a democratic approach to performing: the crowd dictates the show and the band reacts. The results range from an improvised solo or riff to Skolrood taking off his shirt as a show closer. Whatever the audience wants, it gets. “They know it will be great either way,” he said. Shirtless or not, Skolrood knows an audience approves when an attendee pours beer into his empty glass on the edge of the stage. Kingston supports its artists. Student band JIMBO proves that almost every weekend. 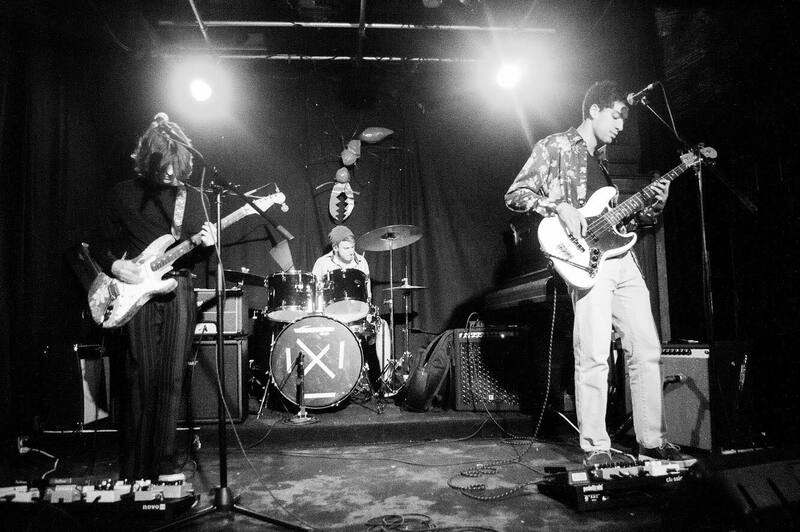 The experimental rock outfit met in a busking club on campus, and since breaking onto the music, has become a fixture of the town’s live scene. Whether it’s a bar or a backyard, JIMBO’s played it, usually shredding a classic rock-inspired guitar solo in the process. They didn’t book those shows—the concerts were offered to them. The city recognizes talent when it sees it, according to drummer Jacob Tessier. The band attracts a diverse crowd. Where Kiss the Fish and Blue Junction tend to aim for high-energy crowds, JIMBO notices audiences coming in ones and twos. Older fans mingle with younger attendees, both drawn to the band’s classic rock and jam band influences. Each one is an intent listener during the show, and there’s utter silence when the band reaches a mid-song break. At that moment, the band and crowd stare at each other, before JIMBO rips into another riff.